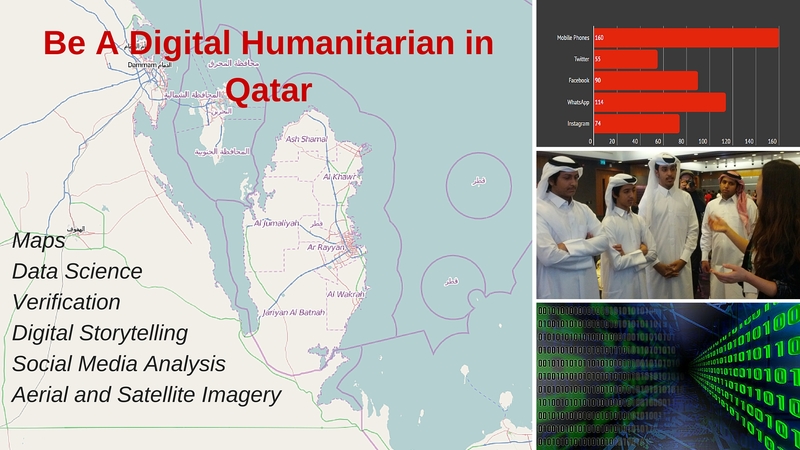 On October 7th, Qatar Computing Research Institute and Qatar Red Crescent Society will co-host the first ever Digital Humanitarian meetup in Doha, Qatar. We are sold out! The room holds 100 people and that is how many free tickets we made available. If you reserved a ticket and can no longer attend please email me asap so that I can open up a ticket for the waiting list. IF you are looking for a ticket, please do contact me. Digital Humanitarians are people who use their technical, social, community and storytelling power to help support humanitarians in their work. We aim to use maps, data, and social media to provide information and insights. While this is the first event of its kind in Doha, we join a growing global civic technology community. Technical preparedness supports a resilient city and country. Qatar has a highly technical and young population. Digital Humanitarians use their social media savvy, create maps, conduct data analysis and use new media tools to provide insights to support humanitarians and affected communities. How can we get young people more engaged in their world, region and country? This is an opportunity to be globally responsible while potentially using the acquired digital skills for your work. We will work in partnership with humanitarians locally and globally to help you contribute. What will you learn in this session? In this session, we will provide an overview of the basic digital skills for humanitarian response online. Our guests will share real humanitarian scenarios for us to do some hands on learning. We will provide more details on how you can learn between sessions and answer questions based on real world experiences. Digital Humanitarians come from all walks of life. All you need is a willingness to learn and a technical device (mobile, tablet or laptop). There are many different types of contributions that people can make – large and small in terms of time and activities. In the global community, there are teachers, students, business people, creative people, humanitarians, researchers, analysts, data science, GIS experts and more. 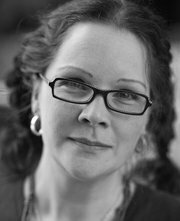 We will provide introductions to each of the various communities and skillsets to help your learning journey. It starts with us.